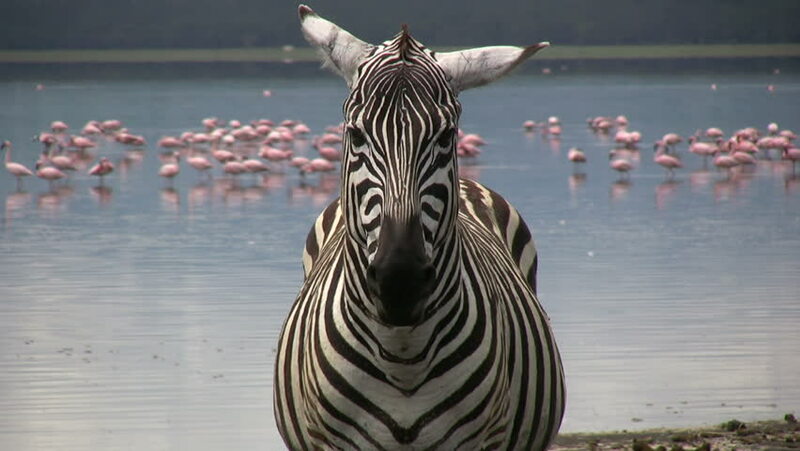 hd00:17 A close up of the face of a zebra with flamingos in the background. hd00:35Drowsy young bengal tiger, lying on the stone pavement, licking his fur and yawning. The most beautiful animal of the world and very dangerous beast. hd00:25Group of zebras in open zoo. 4k00:12Portrait of a tiger resting on the ground.